HomenewsUncategorizedDoes IoT come with that burger? How the Internet of Things is changing the restaurant business. IoT burger- When I think of restaurant technology, I think of stoves and dishwashers and maybe fancy molecular gastronomy gadgets like the stuff that former Microsoft CTO Nathan Myrhvold likes to talk about. Apparently, however, even this kind of “Modernist Cuisine” is now old school when it comes to restaurant tech. The new, new thing is combining the Internet of Things (IoT) with artificial intelligence (AI) to revolutionize the front-of-the-house systems in order to predict demand, track inventory, and improve order and billing accuracy. Overall, IoT promises to help restaurants leverage IoT and AI to streamline operations, boost employee happiness, and innovate in areas beyond creating delicious new dishes. According to Narang, within the next five years, restaurants will use AI and IoT to integrate all electronic systems and predict demand based on past history, weather forecasts, and local events schedules. While diners may not always notice them, large restaurant chains already rely heavily on these systems for everything from ordering ingredients to pricing and creating menu specials. In addition, IoT devices will also begin to implement voice technology to enhance server and cashier accuracy. I wanted to know what kinds of IoT devices restaurants are likely to use over the next five years. Narang replied that the most common candidates will come in the area of payments. Surprisingly, this seems to be a fairly major change. You might think that restaurants would already be working hard to make it easy for customers to pay. But according to Toast’s Restaurant Success in 2018 Report, only 38 percent of restaurants have online ordering, just 17 percent offer mobile wallet options, and a paltry 16 percent have a mobile app. Sure, that’s probably because many restaurants remain mom-and-pop operations with limited resources, but even many larger establishments and chains have been slow to adopt these technologies. Heck, while there’s been a lot of debate lately about the effects of restaurants going cashless, plenty of neighborhood bars and eateries remain cash-only, which doesn’t leave a lot of room for IoT payment solutions. 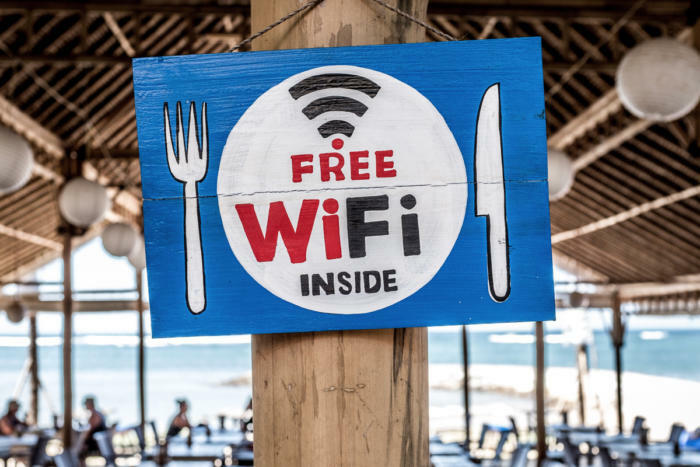 According to Narang, AI delivered via the cloud will be an essential complement to connected IoT devices for restaurants. While this may not be a novel concept in many industries, he says it’s a relatively new concept for the many restaurants still running their businesses on standalone desktop computers, or even with pen and paper. The post Does IoT come with that burger? appeared first on erpinnews.